March is coming soon and with that comes St. Patrick’s Day. The day of little leprechauns footprints and pinches and all things green. This holiday is so colorful and fun, it’s hard not to be in a good mood when you are surrounded by rainbows. 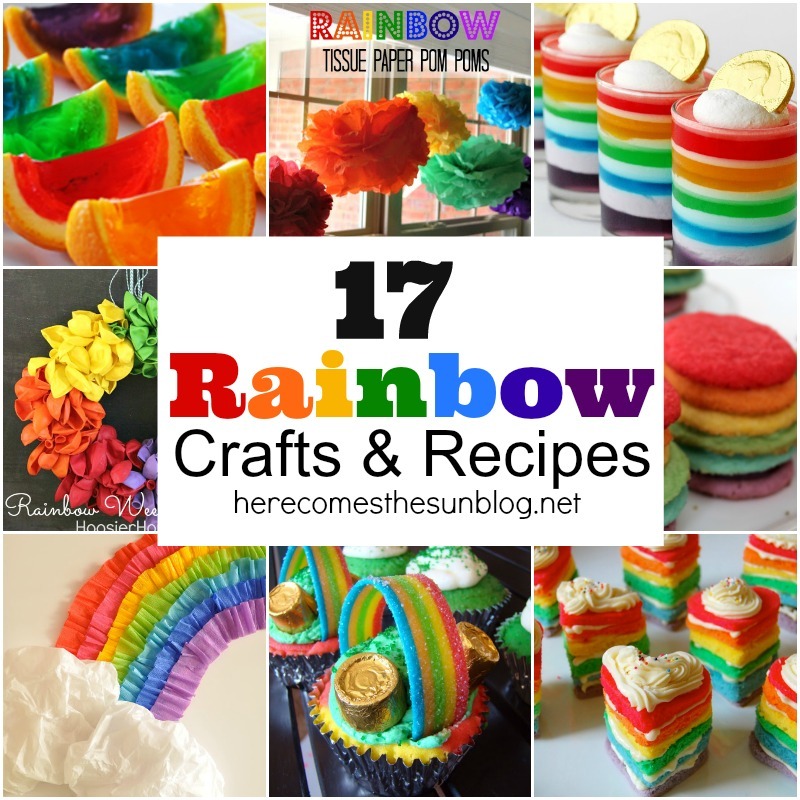 In preparation, I’ve rounded up 17 colorful Rainbow Crafts and Recipes perfect for the luckiest day of the year. I hope these brighten your day! I absolutely love these rainbow ideas….so fun and colorful!